Higher power densities, competition within the energy industry and the increase of distributed generation in connection with the shift to renewables call for constant network optimisation and expansion. We carry out detailed measurements of your primary and secondary technology and create the network models for our powerful simulation tools. On the basis of load flow and short-circuit calculations, we develop technically and economically optimised concepts for network expansion and protection technology. The results of network, load flow and short-circuit calculations and individual parameters, such as selected protection parameters and parameter-time diagrams, are presented in a report. 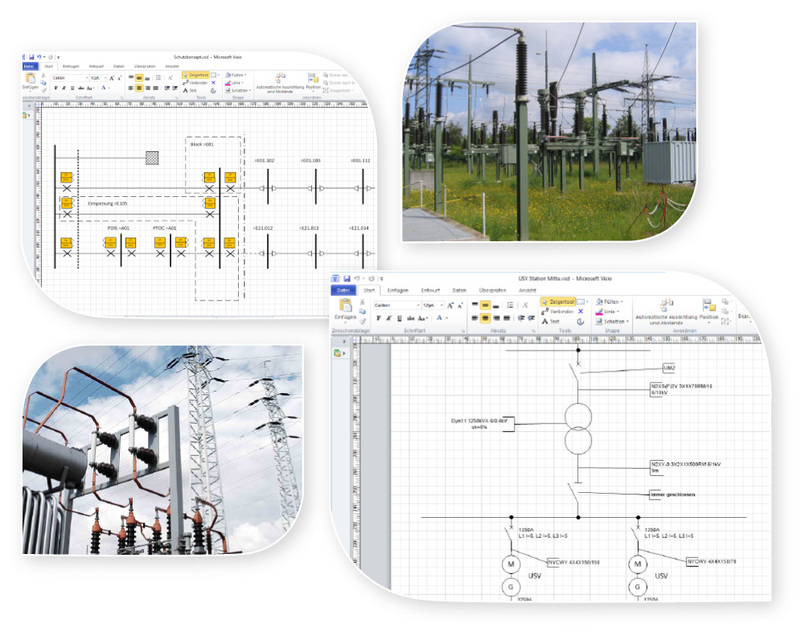 Entry or editing of individual pieces of equipment (network elements), such as cables, circuit breakers, transformers etc in an existing network model. Development of long-term network concepts (target network) on the basis of the structure and operational concept of the current network in close cooperation with the customer while taking possible future modifications into consideration. Formulation of suitable selective protection concepts including protection settings for the target network or for the individual migration steps. The concepts are described in a report and graphical representation is provided in the form of network plans.